And among Ms. Lackey's many novels, few are as critically-acclaimed and beloved as those of the Elemental Masters. The novels in this series are loosely based on classic fairy tales, and take place in a fantasy version of turn-of-the-century London, where magic is real and Elemental Masters control the powers of Fire, Water, Air and Earth. 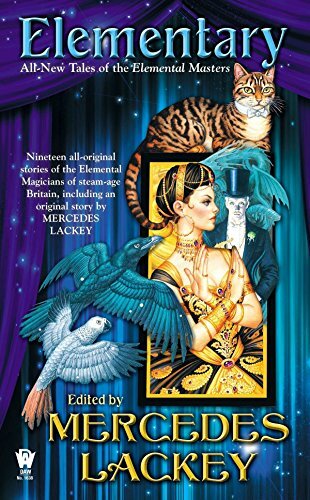 Mercedes Lackey is a full-time writer and has published numerous novels and works of short fiction, including the best-selling Heralds Of Valdemar series. She is also a professional lyricist and a licensed wild bird rehabilitator. She lives in Oklahoma with her husband, artist Larry Dixon, and their flock of parrots. She can be found at mercedeslackey.com.